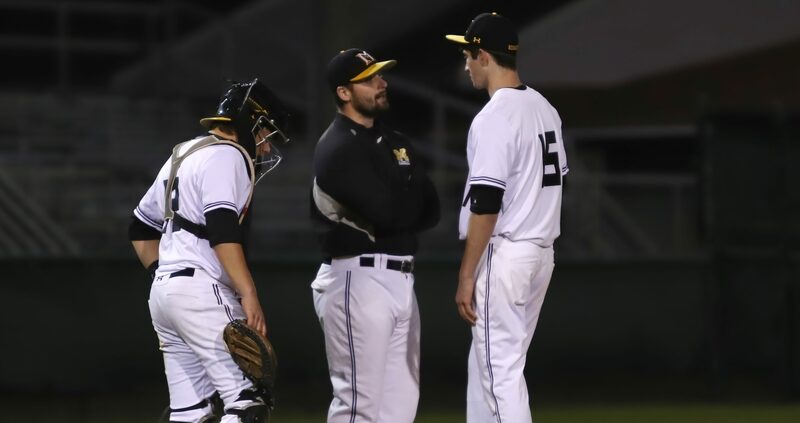 Coach Wheeler enters his sixth season as the head coach of the baseball program at Manteo. He graduated from Manteo in 2005 and was an all conference performer in football and baseball. In 2005 he was an all state performer on the diamond, as well as Northeastern Coastal Conference Player of the Year. Following Manteo Wheeler played four years of division I baseball at High Point University. From 2005-2009 he was twice elected to the Big South All Conference team as a shortstop and in 2009 was elected to the Big South All Academic Team. Coach Wheeler was named Big South Conference Player of the Week after leading High Point to two wins over #14 Coastal Carolina and a win over #4 North Carolina. For the week, Wheeler went 10-for-21 at the plate (.476), scored nine runs, had seven RBI, walked three times, and posted a .560 on-base percentage and .619 slugging percentage. Wheeler finished his playing career in the top five in many HPU and Big South season and career statistical categories. Games Started: (Career – 206), Batting Average: (Season – .400) (Career – .314), Hits (Season – 82) (Career – 235), Runs (Season – 57) (Career – 146), Walks (Career – 72), OBP (Season – .488), Assists (Season – 162) (Career – 556). Following High Point career Wheeler was an assistant coach at High Point University . In the summer of 2010 he was an assistant coach for the Morehead City Marlins in the Coastal Plain League. He was in charge of coaching third base, the offense, and hitters. The Marlins went on to win the Division Championship and in just their first season were ranked as the 12th best summer collegiate team in the country by Perfect Game USA. Following the 2010 summer Wheeler became a graduate assistant at UNC Pembroke. Coach Wheeler began teaching and coaching at Manteo in 2011. Wheeler was the varsity assistant coach in both 2012 and 2013. In 2014 he took over the Manteo baseball program. In 2014 Coach Wheeler and Coach Metzinger helped build a junior legion team in Manteo, which they coach during the summer season. Coach Wheeler graduated from High Point University in 2009 with a B.S. in Physical Education. He also received his masters in physical education from UNC Pembroke in 2013. Coach Metzinger enters his sixth year as an assistant coach for the Manteo Redskins. Metzinger is the 2016 North Carolina Baseball Coaches Association Region 1 assistant coach of the year. Metzinger graduated from Bunn High School where he was an all conference performer in wrestling and baseball. He then signed and played four year of NCAA DII baseball at Barton College. At the college level Metzinger was a closer, first baseman, catcher, and designated hitter. Metzinger first began his coaching career as the pitching coach for the Wilson Pelicans travel baseball team from 2006-2009. In 2012 Metzinger became the assistant coach for Nash Central High School under head coach Tony Guzzo, where he worked primarily with the pitchers. At Nash Central he implemented a pitching philosophy that almost halved the total earned runs, decreased walks by 20, and helped to add five wins to the previous year’s total. In 2014 Metzinger became the assistant baseball coach at Manteo. Also in 2014 Metzinger and Wheeler began coaching the Dare County Hammerheads legion team. Coach Metzinger is also the Head Wrestling Coach and Assistant Athletic Director at MHS. Metzinger graduated from Barton College in 2009 with a B.A in Mathematics and a B.S. in Business Management. In 2010 Metzinger obtained the National Strength and Conditioning Association’s certification as a Certified Strength and Conditioning Specialist, and obtained Titleist Performance Institute’s certification as a Certified Golf Fitness Instructor. In 2011 Metzinger earned a Master of Science Degree in Biomechanics from East Carolina University. Coach Scott is entering his first year as a coach here at Manteo. He is coming to Manteo High School after spending the last seven seasons as the Head Baseball Coach at Northeastern High School. While at Northeastern he was also a football assistant coach. Prior to Northeastern, Coach Scott was a baseball and football coach at River Road Middle School in Elizabeth City. In 2009 he was an Assistant Coach at First Flight High School. He began his coaching career at C.B. Aycock Middle School in Greenville, NC. Coach Scott graduated from Pasquotank High School in 2003. At Pasquotank he was a three year captain for the baseball program. His sophomore and junior seasons he was team MVP. He was a three time all conference performer. He was a member of the Region 1 state games team his sophomore and junior years. In 2002 he was Pasquotank High School’s Male Athlete of the Year. He also was a two year member of the varsity football program. Coach Scott went on to play at NC Wesleyan from 2003 to 2004. He then transferred to East Carolina University. He graduated from East Carolina University in 2008 with a B.A. in Health and Physical Education. Zach Alexander enters his first season as an assistant coach at Manteo. He comes to Manteo after spending the last six seasons at North Carolina Wesleyan. Alexander served two seasons as a volunteer assistant coach with his alma mater… the first while he completed his degree, and the second while serving as a 5th grade teacher within the Nash/Rocky Mount School system. In the fall of 2014, Alexander joined NC Wesleyan as a full-time assistant to Intramurals, while in the summer of 2015, his duties moved entirely to the Department of Athletics as Assistant Baseball Coach and Director of Outdoor Facilities. He was a standout player for head coach Charlie Long at NC Wesleyan from 2008 to 2011. Coach Alexander was a two-time USA South All-Conference performer at first base. He led Wesleyan to a pair of conference championships during his playing tenure. After manning the hot corner as a freshman, he made the move over to first base during his sophomore campaign, where he would become a three-year starter. That same 2009 season was highlighted by the Bishops capturing both the USA South regular season and tournament crowns en route to the program’s 21st NCAA berth. efforts, Alexander was named the team’s Most Valuable Player. Coach Alexander grew up in Virginia Beach, VA and attended Kempsville High School where he played for Coach Paul Shows. Kempsville was the 2007 Beach district champions and Coach Alexander was the Offensive MVP. Coach Alexander graduated from North Carolina Wesleyan in 2013 with his B.S. in Elementary Education. Coach “Pops” Meekins has been a staple in the Redskin’s baseball program for many years, and has been coaching baseball for 27 years total. He loves to share his knowledge of the game with young players. He started coaching in 1972 in the Elizabeth City youth 13-15 year old leagues. In 1974 his team finished second in the state and he was awarded the state runner-up coaches award while coaching a 13 and 14 year old all star team. In 1989 Coach Meekins retired from state law enforcement and became the assistant baseball coach, to his son Kenny, at Princeton High School. He continued coaching at Princeton through the 1993 season, and in those five years Princeton captured a state championship. Princeton also finished as state runner ups in one of his seasons. 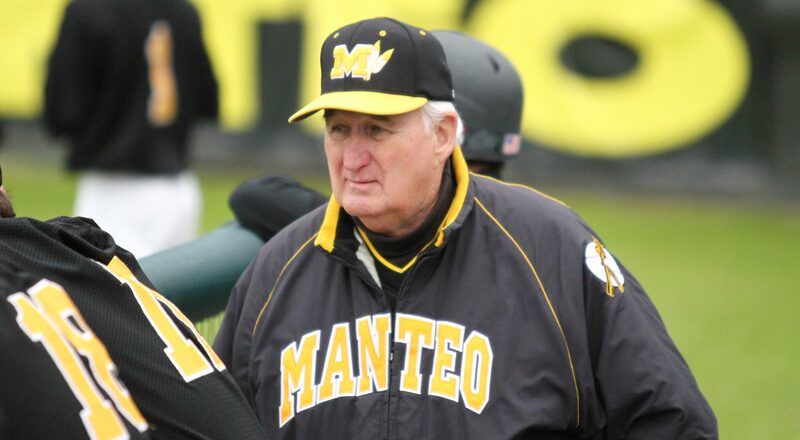 In 1994 Coach Meekins moved to Manteo, and alongside William Creef, started a Junior Varsity program at MHS. In just their first season Creef and Meekins went an undefeated 10-0. In 1995 Coach Meekins became head assistant for the varsity program and just a year later the Redskins captured the 1996 2A state championship. Pops remained the varsity assistant until 2012. During that time he helped guide Manteo to many conference championships. He is now back with MHS as a bullpen coach and assistant junior varsity coach. Coach DeSanto is entering his fourth year on the Redskin coaching staff.